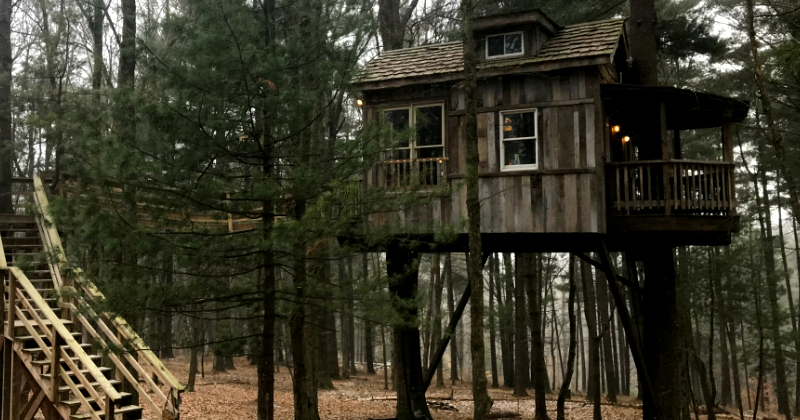 When it comes to unique places to stay, a secluded tree house nestled in the woods is definitely near the top of the list. 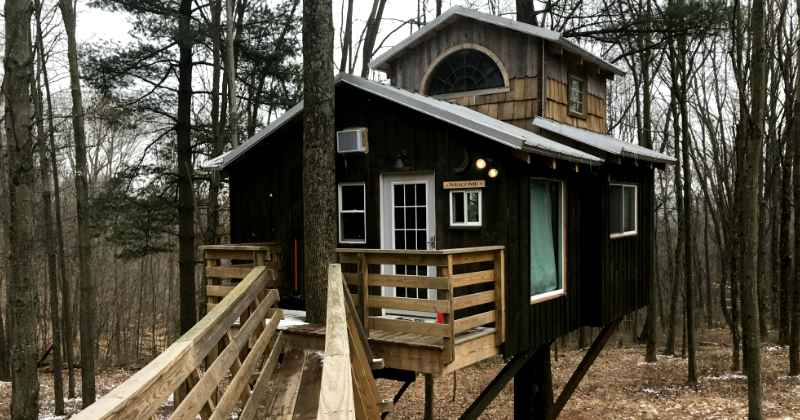 The rustic yet luxurious tree houses located at The Mohicans are an ideal romantic getaway for couples or a great option for a memorable family adventure. 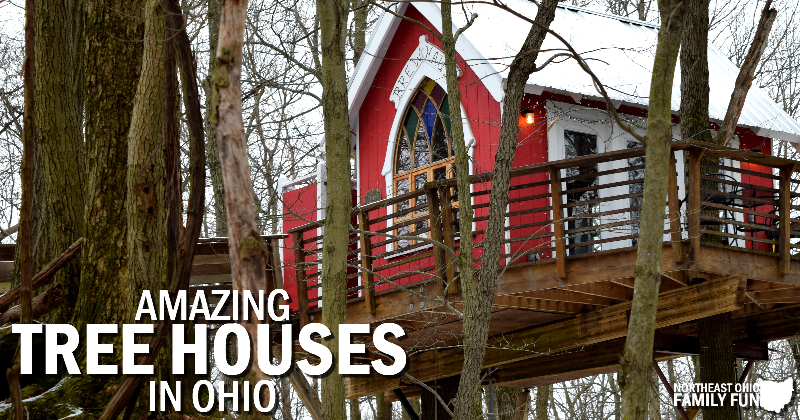 Lucky for us, these amazing tree houses in Ohio are just a short drive away. 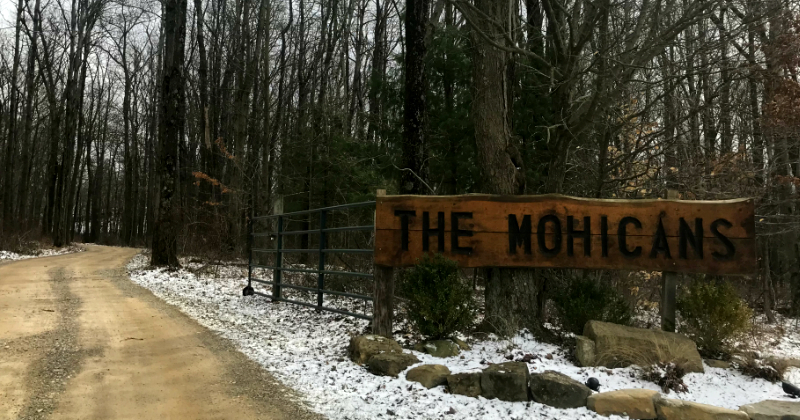 Located in Glenmont Ohio, about 20 minutes from Mohican State Park, The Mohicans spans 77 wooden acres in the beautiful Mohican Valley. 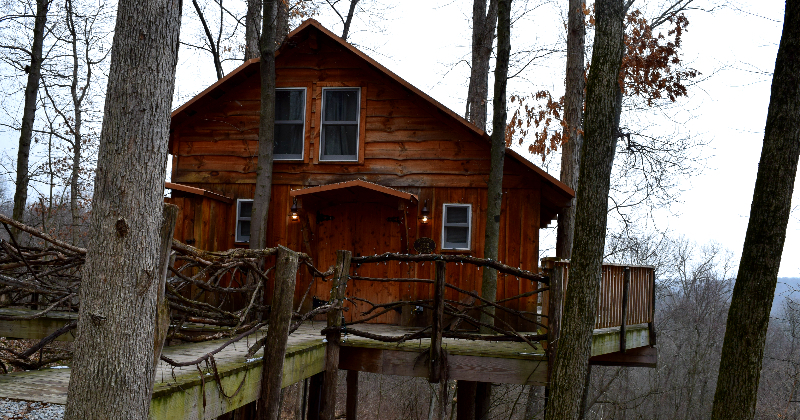 They offer weddings in the Grand Barn Event Center and lodging in Rustic Cabins or Tree Houses. 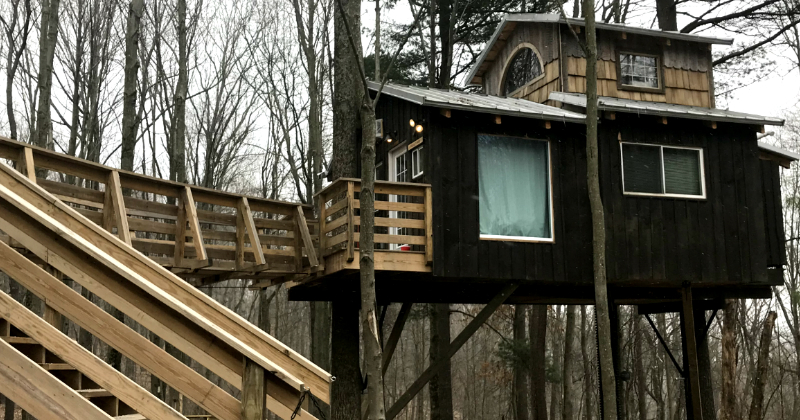 In May 2012, The Mohicans began a project with tree house designer and star of Discovery Channels “Tree House Masters”, Pete Nelson and because building their first tree house – The White Oak. 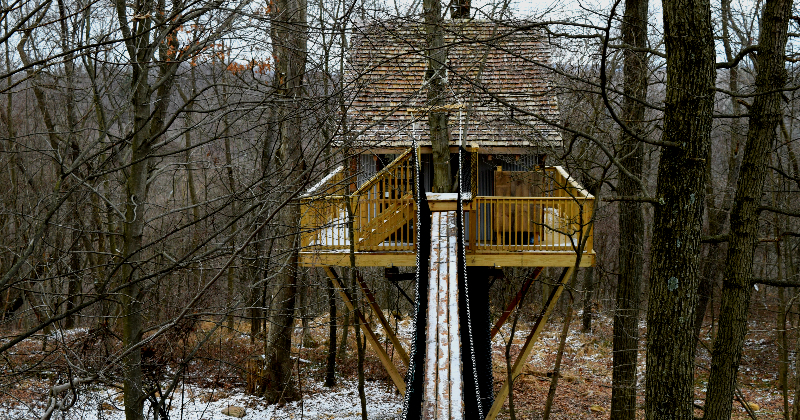 As of March 2018 there are 6 tree houses at The Mohicans with plans to build even more! 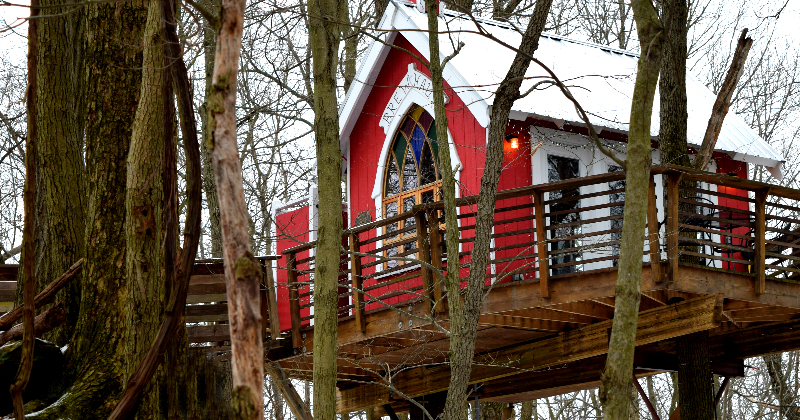 Fun Fact: Both the White Oak and Little Red tree houses are featured in Pete Nelson's book Be in a Tree House. The book contains many pictures and insider information about the building of the tree houses. All of the tree houses located at The Mohicans are custom designed and offer a rustic outdoor feel with high end touches. I especially love that each tree house has a very unique look and feel. We stayed in the Moonlight Tree House during our visit and had a great time. It has two bedrooms, one on the first floor and one in the loft, and comfortably sleeps four. There is a kitchen where you can cook a meal on the provided appliances or brew a cup of coffee and site and enjoy a relaxing morning and a beautiful view. Fun Fact: Local Amish carpenters help build each of the tree houses. The Moonlight tree house interior was constructed using the 100 year old barn siding from one of it's Amish designers from the town of Danville along with hand hewn beams. There is little to no cell service. But no worries, there are plenty of outdoor activities to keep you occupied. So turn off the electronics and enjoy the great outdoor and some good conversation. You can also bring along some DVDs to watch inside the treehouse. You can also pop some popcorn in the provided microwave to enjoy while watching the movie. Each of the treehouses have a personal fire pit. 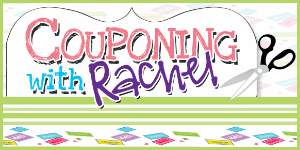 Pack marshmallows, hot dogs and items for S'mores and sit out by the campfire. Bring flashlights. These will come in handy if you want to walk around a night or arrive after dark. Looking for a sweet treat? During the summer months, head over to Stela's Ice Cream Shoppe in Loudonville for delicious homemade ice cream. 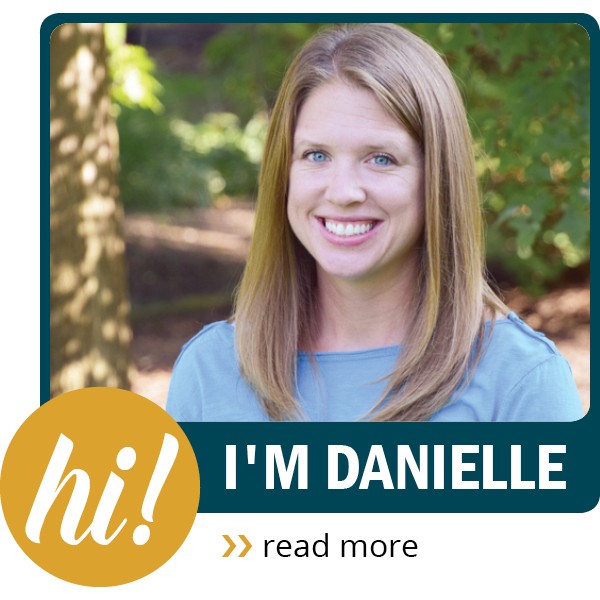 Nearby outdoor activities include: Zip lining at Tree Frog Canopy Tours and hiking at Mohican State Park (our favorite trail is Lyons Fall Trail which goes past two waterfalls). 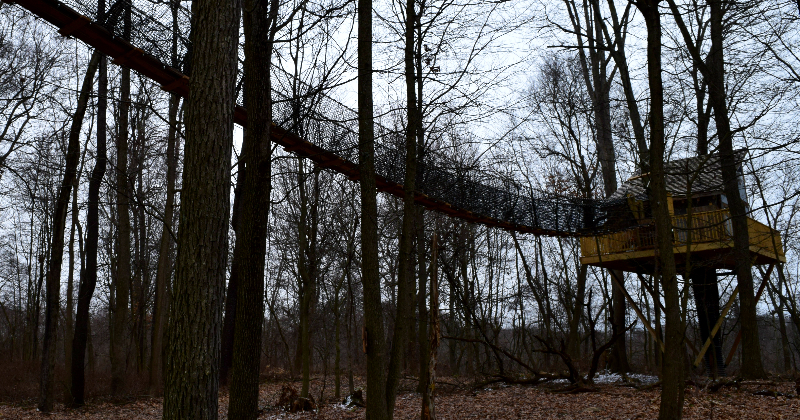 If you aren't afraid of heights, be sure to visit the nearby fire tower to see a birds eye view of the forest. We had a great time visiting The Mohicans and can't wait to return to stay in the other tree houses. That looks so cool! My boys would love an experience like that.